We made this recipe for the boys and it is so good. My intention was to make this a Valentine's Day treat but I couldn't find any valentine's colored m&m's. 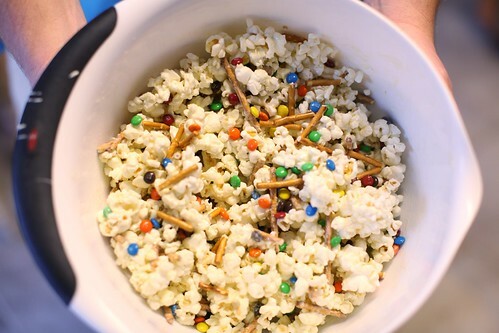 The Popcorn looks delicious. I have a recipe that looks very similar and boy was it delicious. Could post the website, the link provided takes me to blogger. Mmm we make something very similar to that you Christmas.